buildOn is empowering Detroit youth to transform their schools, neighborhoods and city by serving those most in need. Detroit is on the rise, but continues to have among the highest poverty rates and lowest graduation rates in the United States. But buildOn students in Detroit are working hard to change the outlook for their city. 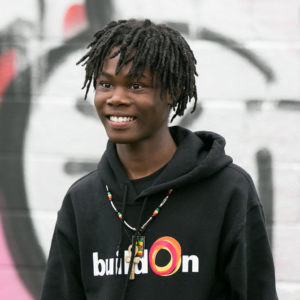 By cooking meals at homeless shelters and soup kitchens, tutoring and mentoring young younger children, and cleaning up vacant lots and homes, buildOn students are serving the most vulnerable in their neighborhoods. buildOn students serve meals at shelters and soup kitchens each week to fight hunger in their community. buildOn students help collect, organize and distribute warm clothing to their Detroit neighbors in need. By partnering with local schools and libraries, buildOn students serve as mentors and tutors to children in their own communities. buildOn Detroit students are taking action to clean up dangerous vacant lots and homes in their community. Meet some of the Detroit students we're empowering to serve. buildOn provides a variety fully immersive experiences that allow your organization to mentor and serve with Detroit youth, share your skills, and make a positive impact in your community. Your donation can help a Detroit student become a leader in his urban community. 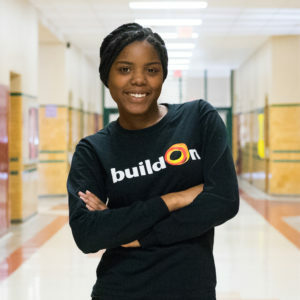 A gift of just $36 provides a Detroit student with a week of impactful buildOn Service Learning Programs.